La Quinta Inn Cincinnati North Springdale offers hotel packages bundled with tickets to area attractions like Cincinnati Reds, Newport Aquarium, Cincinnati Zoo & Botanical Garden and more. Click the View Hotel Packages button to see what's currently available. 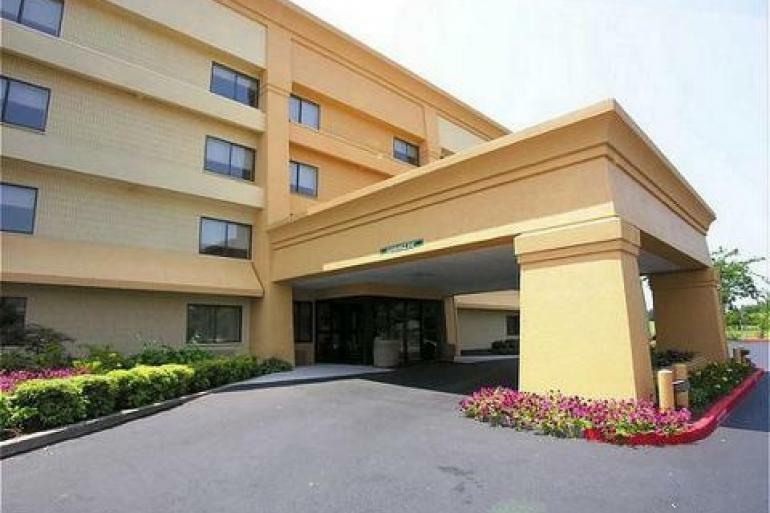 Located right off of the Interstate-275 beltway, the La Quinta Inn Cincinnati North is convenient to all area attractions, including Kings Island for family fun. Enjoy shopping at places like Cincinnati Mall, restaurants like Rooster's located in our parking lot and another five restaurants located within one mile of the hotel. For sports fans, it is an easy drive to Great American Ball Park (Reds), Paul Brown Stadium (Bengals), and US Bank Arena (Cyclones). Start your mornings in the lobby at the La Quinta Inn Cincinnati North and sit down to a Free Bright Side BreakfastTM with waffles (room service also available from local restaurants). All spacious rooms include free high-speed Internet access, coffee maker, hair dryer, iron w/ironing board, pay-per-view movies, Nintendo and other special amenities. "Where outsider art is always in."